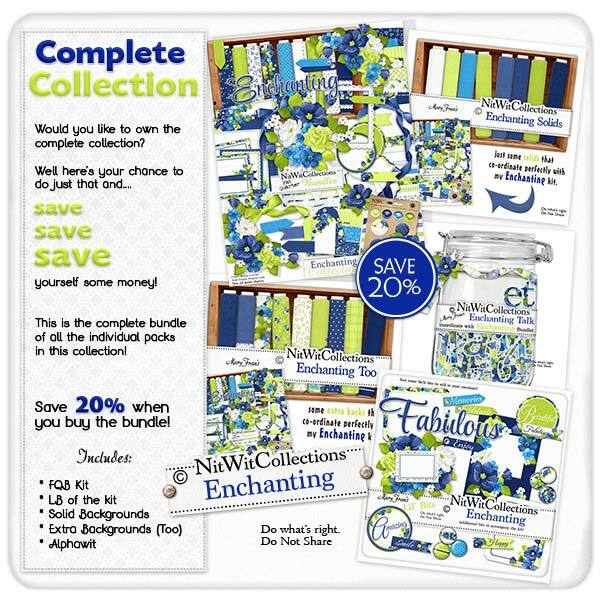 Bundled "Enchanting" Collection is a bold and beautiful (no pun intended) digital kit, perfect for your summer scrapbook layouts and cards. Imagine a party invitation or engagement card...how about a layout of you dressed in your finery and enjoying a special event or remembering someone who you hold dear to your heart?! The creative possibilities are endless....and the finished products will be Enchanting! !